Raghav and his wife Anjali live in Delhi with their two children, Chiya who is 7 and Ryan who just turned 10. They are facing a common problem that most working couples face. Their children go to one of the best schools in Delhi, but the after school routine of their children is of concern to them. They come home to their full-time maid. There is not much of a play area or facilities around. So, they spend most of their time indoors. Raghav, shares his concern with Anjali, “They only go for activity classes twice a week. Rest of the week, Ryan is so engrossed in his TV or video games, and Chiya with her dolls, that they don't even step out to play. Sometimes they skip classes because I am not able to make time to take them for that." As Anjali is also working, she is hesitant to send her children alone to play outdoors because of the lack of security, rash cars drivers, poorly maintained parks & infrastructure. Raghav and Anjali, like most modern parents, are always looking for ways to provide the best-in-class facilities and amenities to their children. 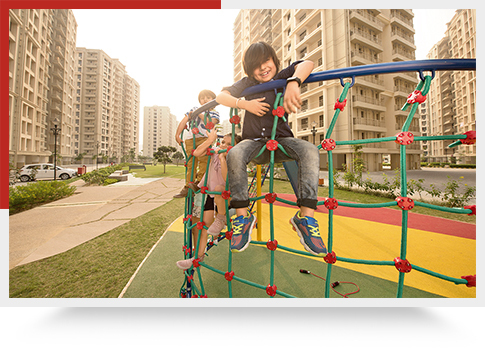 After much looking around for a property in Delhi- NCR , they opt for a tour of a kid centric homes in Bhiwadi. They are amazed to see the large green parks for kids to play in, well maintained infrastructure & facilities, security, diligent and friendly staff- all within the condominium. They both are pleased to see the infrastructure but what captured Anjali’s interest are the pre planned activities for kids at the live & learn programme inside the complex. She is very happy that it will provide a right environment for a well rounded development of her kids. 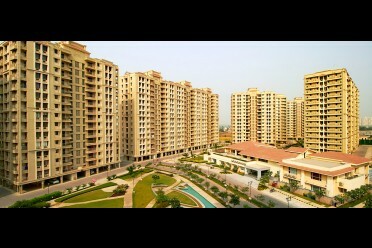 This is based on testimonial shared by an existing resident of Ashiana Town in Bhiwadi. Their names have been changed to protect their privacy. In 14 Asian games held in Jakarta, Swapna barman won gold medal in heptathlon games in Jakarta she used to live in tin shaded roof and she was from a village of backward district of West Bengal.I mean to say Pratibha ke liye yah jaroori nahi hai ki AAP banglow me then. Thank you for sharing, we appreciate your thoughts.